A report published online first today in the New England Journal of Medicine shows that in patients who respond to ipilimumab, their cancer cells carry a high number of gene mutations—some of which make tumors more visible to the immune system, and therefore easier to fight. The research was led by Vice Chair of Radiation Oncology and cancer genomics researcher Timothy Chan, MD, PhD ; oncology fellow Alexandra Snyder Charen, MD; and Chief of the Melanoma and Immunotherapeutics Service and the Lloyd J. Old Chair for Clinical Investigation Jedd Wolchok, MD, PhD. Clinical trials of ipilimumab (YervoyTM) have produced practice-changing results for many types of cancer. The drug works by blocking a protein called CTLA-4, boosting the body’s natural immune defense against tumors. Normally, CTLA-4 keeps the tumor-fighting activity of the immune system’s T cells in check. In the presence of the drug, T cells are unleashed and their inherent ability to recognize and destroy cancer cells is enhanced. 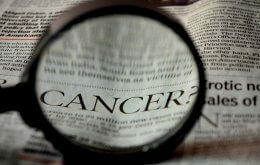 For some patients, the drug shrinks tumors and significantly prolongs lives. Over the past decade, immunotherapy has signaled a scientific game changer. “We’ve spent much time and effort studying how to target the tumor. And we’ve only recently understood how to have the patient’s immune defenses mobilized to treat the tumor. Immunotherapy is by definition how that happens,” says Dr. Wolchok. But the approach doesn’t help everyone. In fact, about 80 percent of people with melanoma get little or no benefit from ipilimumab. And thus far, doctors have had no way of predicting which patients are more likely to respond to the drug. This new study brings the team one step closer to finding an answer. “There was a correlation between having an elevated number of mutations, or more DNA changes in a tumor, and benefitting from the treatment with ipilimumab, with benefit being long-term stability or resolution of metastatic disease,” explains Dr. Snyder Charen. The team collected tumor samples from 64 melanoma patients who had been treated with ipilimumab or tremelimumab, an experimental drug that works in a similar way. The tumors were analyzed by whole-exome sequencing, a method that deciphers DNA changes across all parts of the genome that code for protein. About half of the tumors analyzed came from patients for whom the treatment had been successful and the other half from people who derived little or no benefit from it. This research was supported by Ludwig Cancer Research and grants from the Frederick Adler Fund, the National Institutes of Health, Swim Across America, the Ludwig Trust, the Melanoma Research Alliance, the Stand Up To Cancer-Cancer Research Institute Immunotherapy Dream Team, the Hazen-Polsky Foundation, and the STARR Cancer Consortium. Stand Up To Cancer is a program of the Entertainment Industry Foundation administered by the American Association for Cancer Research.